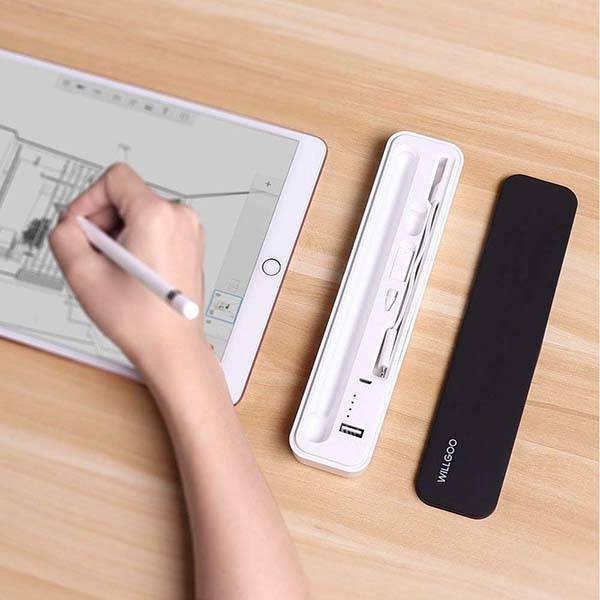 With built-in rechargeable battery the Apple Pencil carrying case not only holds the Pencil, but also gives it extra battery life. Like the idea? Let’s have a look. 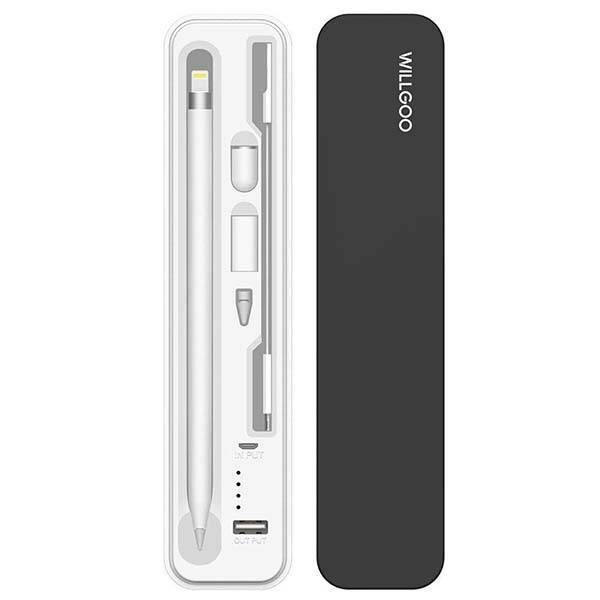 This is a well-designed and versatile battery case designed for Apple Pencil. The case measures 8 x 1.7 x 1 inches and weighs 4.6 ounces. As we can see from the images, it shows off a sleek, minimalistic appearance design along with a classic black-and-white color scheme, and the slim and compact profile allows you to easily put it in your bag for portability. Using multiple custom slots the carrying case securely and nearly holds your Apple Pencil and its accessories in place, and the durable case protects them from bumps and scratches when you’re on the move. Furthermore, the magnetic cover keeps it always closed and allows you to easily access to your Pencil. 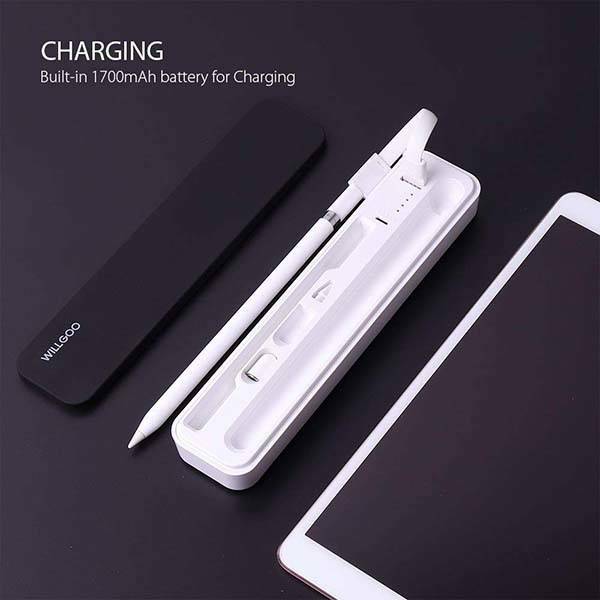 Unlike any Apple Pencil case, the carrying case features built-in 1700mAh rechargeable battery, so it serves as a portable power bank to charge your Apple Watch with an included USB cable. The Apple Watch carrying case is priced at $25.99 USD. If you’re interested, jump to the product page for its more details.